Ever wished that you or your children could see what it is like to sail in a dinghy or be on board a yacht? 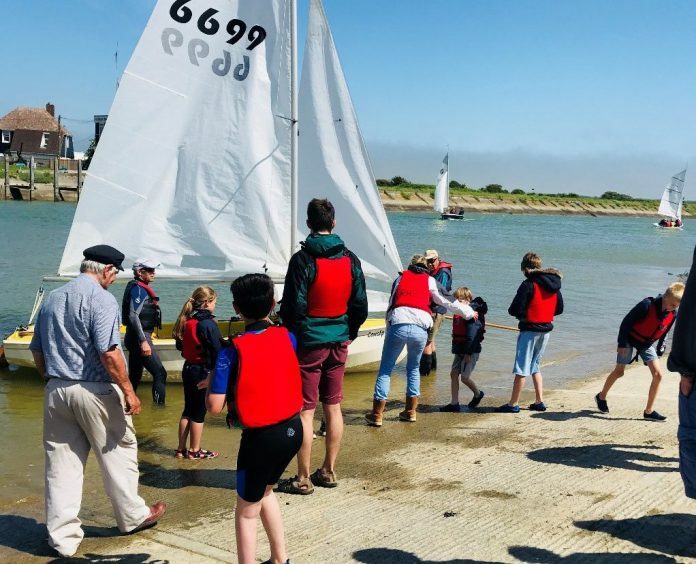 Now’s your chance because Rye Harbour Sailing Club will be holding taster sails under the RYA’s Push The Boat Out scheme on May 4 between 9:30am and 12:30pm. Those who wish to try dinghy sailing will be taken out on to the River Rother by a qualified sailor on a Wayfarer, Wanderer or Laser Stratos. Those adults or young people over 16 who wish to experience sailing on a cruising yacht in Rye Bay will join one of the yachts belonging to Club members. Life jackets will be supplied. Parking and refreshments will be available at the Clubhouse, The Point, Rye Harbour, TN31 7TU. Email Eric Zon on ericzon@lankelma.co.uk to book a place. Eric will send you further information and a booking form and will be pleased to answer any queries you may have. Image Credits: Rye Harbour Sailing Club.